Of you seem to be in the prime of your health, eat a balanced diet, indulge in exercise, but still face hair loss issues, then it is high time you had a look at your menu. Maybe there are some food items, to which you are allergic. The drugs used for treating cancer and other diseases also cause the patient’s hair to lose. Sugar produces insulin and androgen, a hormone responsible for hair loss. Sugar causes swelling to occur. Likewise, foods like carbohydrates, potatoes, bread or white rice when broken down have the same effect on a person that sugar has. Hence people allergic to all these things have noticed hair loss. Fish which has a high concentration of mercury have also found to be the cause of hair loss, especially in those who are allergic to fish. Fried foods not just cause weight gain and other issues, but those who are sensitive to having fried foods have hair loss. Foods which have high qualities of Vitamin A may also lead to hair loss, especially to those who are facing intolerance towards them. Aspartame is an artificial sweetener, which many people are allergic to. It promotes hair thinning. 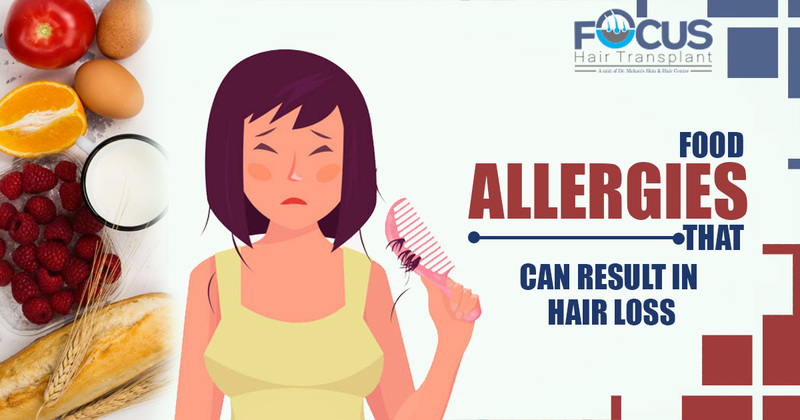 The best hair loss treatment would be to avoid having foods you are allergic to.